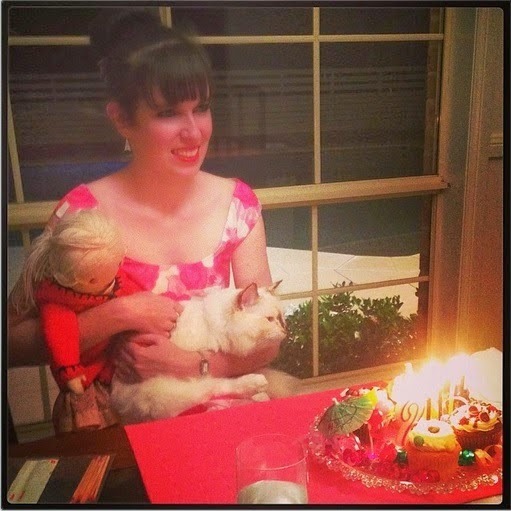 As some of you know from Instagram and various other forms of social media, it was my birthday last Sunday. I turned 25 which I absolutely cannot believe. I’m continually mistaken for a teenager still. This age feels like the next age group (maybe it’s the stage where I’m no long supposed to be completely obsessed with unicorns!). I’m very young at heart and definitely not particularly mature so I’m not too sure how this has all happened. Where are all the years going? I had been dreading turning 25 for ages but instead of dwelling on overwhelming negative thoughts I realised a couple of things. If I was more than a couple of years younger I wouldn’t have my current job, I wouldn’t have graduated with a couple of degrees from university and I wouldn’t be so close to becoming a solicitor. These aspects of my life are my main source of happiness and fulfilment at the moment. I’m so grateful for the opportunities I have now and to be where I am today. Here are a few pictures of my birthday. The unicorn cake is incredibly impressive and speaks for itself! 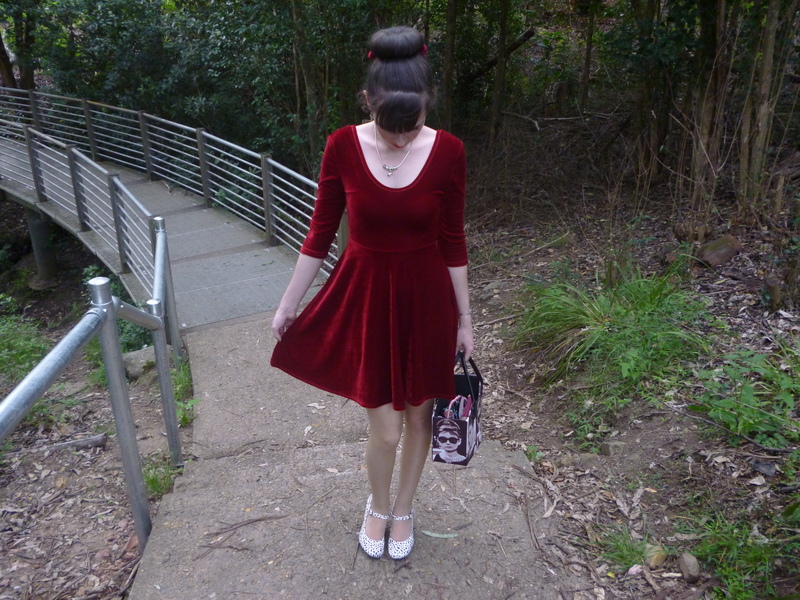 Following on from my love of velvet as explained in the post here,I’ve been wearing this dress a lot recently. 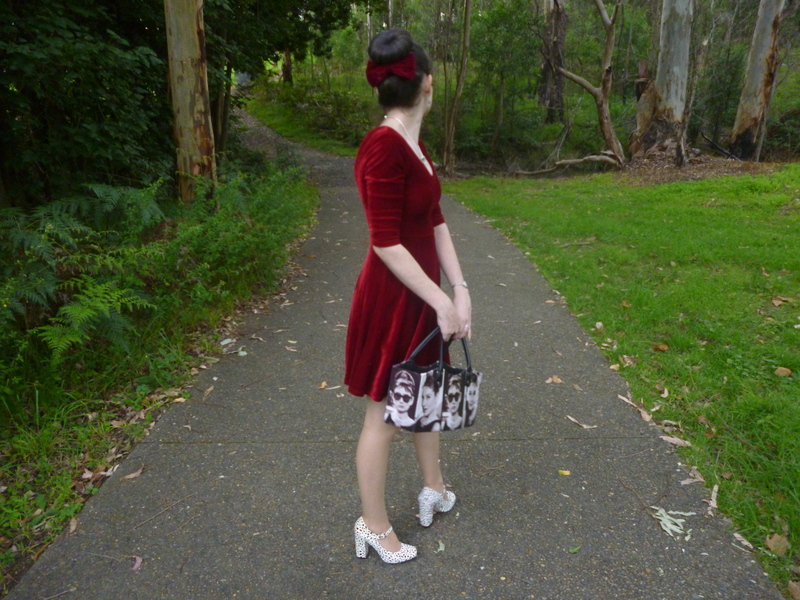 I learned from a few bloggers that this colour can be called claret; that just sounds so royal and sophisticated. 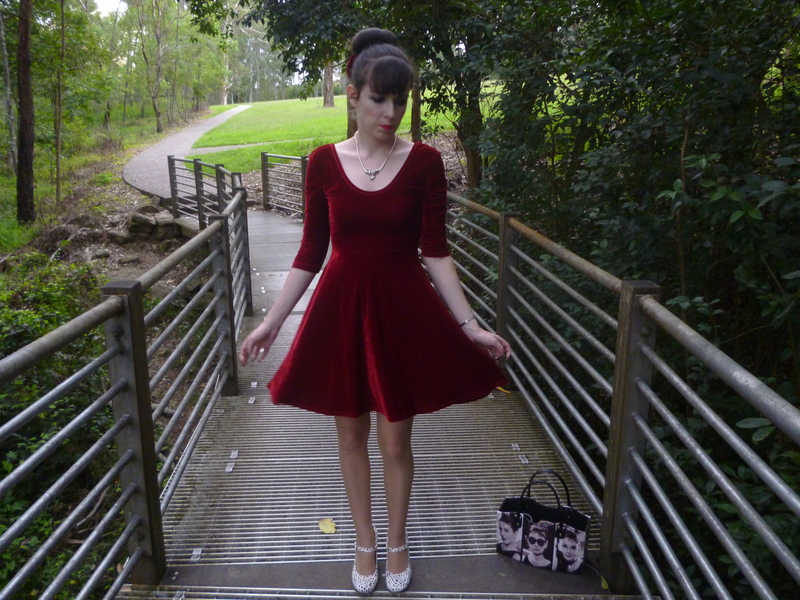 A velvet claret skater dress. I like that. The hair bow is concidentally the perfect match. 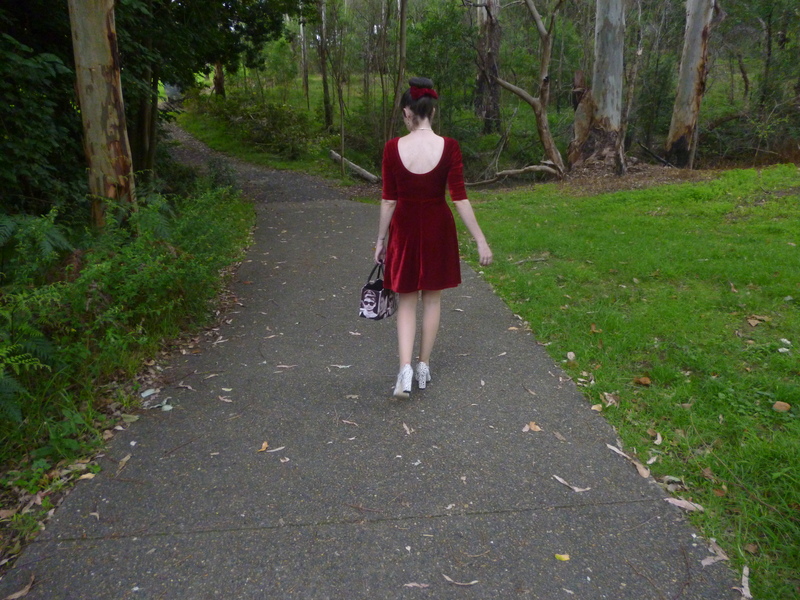 I couldn’t believe my luck when I saw it in the shops knowing I had my claret velvet dress at home. 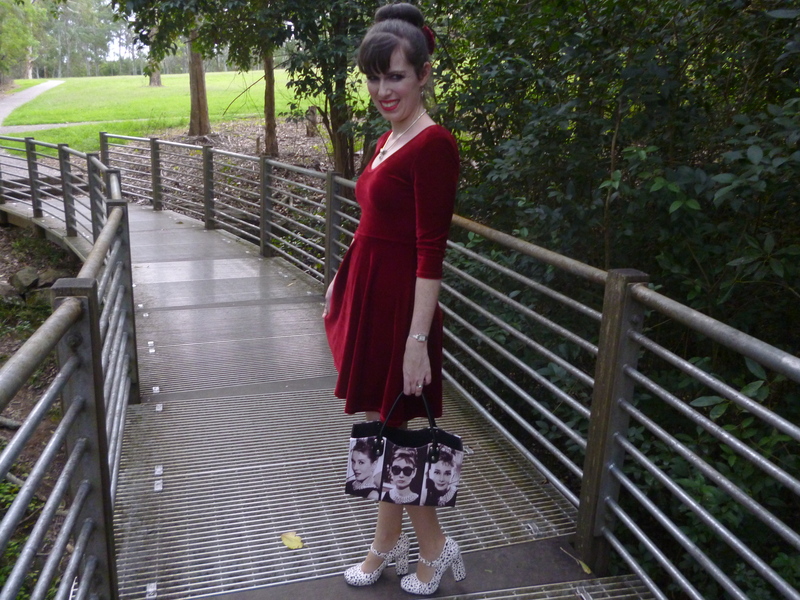 I bought the Audrey Hepburn printed bag from a gift shop near where I work. I spent some money for my birthday and this is one of the new additions to my wardrobe. Since it’s a box bag and doesn’t close, I have to be extra careful to ensure the contents of my bag are neatly arranged. Also from my birthday is my new pandora necklace which I am wearing here but that deserves a post of its own. 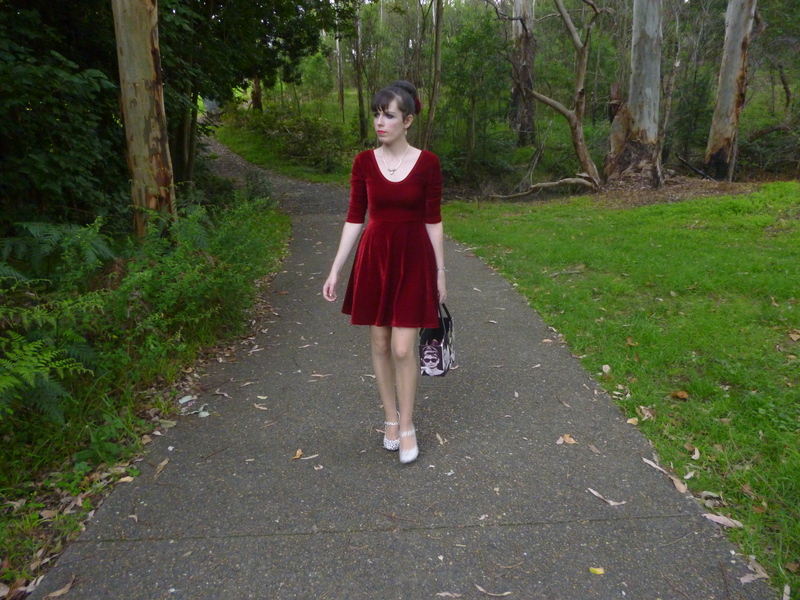 This entry was posted in Outfits, Uncategorized, Wittner. Bookmark the permalink. Happy Birthday! You looked beautiful! That cake looks amazing, lol. I love the dress, and I cannot wait to see the necklace in another post! Lovely dress and delicious cake!!!! Happy belated birthday! You look lovely. Happy Birthday! I hope you had a wonderful day! That color is just gorgeous on you and I love the heels you are wearing, too! happy birthday to you, hope you got anything that you wished for. 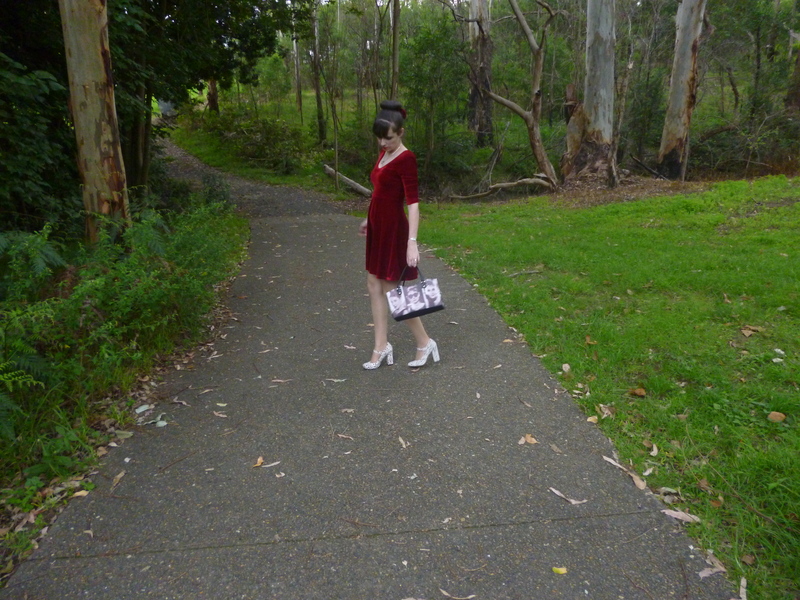 The dress is so lovely so the bag!!! Sooo cute! That cake is amazing! Sounds like a great time! Happy belated birthday! Of course you're being mistaken for a teenager, you're 25 only! I'm 31 and still being denied entrance without ID in most places. Dear i love this dress. And your lovely blog!!!!! Kissssss from Spain!!! Happy belated birthday Imogen! 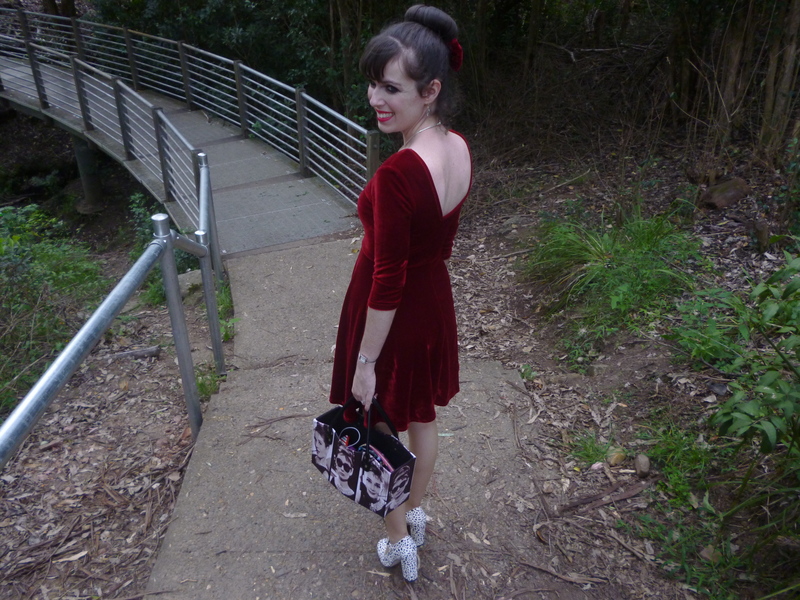 You rick that oxblood velvety dress, fabulous bag too! Hello, lovely all outfit, your hairstyle, dress and lovely shoes!!! Nice your bloo too, nice to met you on Share in style! Hi Imogen, visiting from share in style, great to see another Aussie. Lovely look, the color looks great on you.